My Wife Has Cancer. I Need to Know: Will She Have Insurance On January 1st? We knew it was possible, but that didn’t in any way lessen the impact of those three words. Everything that was right and comfortable was in that instant washed away by a million questions with no answers. At a time when we needed nothing more than certainty and clarity, there was only confusion and doubt. Upon landing in Philadelphia hours later, I called to see how she was doing with her newly diagnosed breast cancer. Feeling numb, I managed to make one other call soon after landing. Not to friends. Not to family. Instead, it was to our insurance company. That’s right: Other than my wife, the one person I most wanted to speak to in the world was a Cigna call center operator. We hadn’t even had a chance to meet with her oncologist to discuss potential courses of treatment, but we had questions because we had recently changed our plan to carry higher out-of-pocket costs and lower deductibles. We needed answers to those questions so we could go about worrying about more important things. What procedures are covered? Are the doctors at the cancer center in plan? What is the maximum out of pocket? What other limits should we know about? A 15-minute conversation later, we were comfortable that insurance wouldn’t be an issue and had a decent understanding of what our share of the costs would be. At a time of absolute fear and confusion, our insurer provided a moment of comfort and clarity. 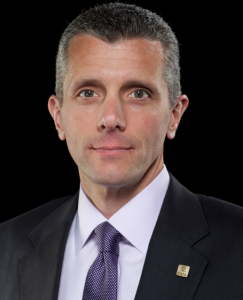 I have a challenge for CIGNA CEO David Cordani. Sometime this week, pick up the phone and be a secret shopper. Call your customer service team and ask them the same thing I asked them on a Friday not long ago: does my plan cover and reimburse for flu shots, and at which participating providers in my area? This is managed care and wellness 101. Just not at CIGNA. Customer service rep A says shots are covered and reimbursed, but she cannot confirm any place in St. Louis as a par provider that would bill the plan directly for payment. Her stubborn refusal to grasp the meaning of “par provider” was infuriating. She repeatedly reads a list of potential providers (all national companies, such as Walgreens) and then tells me I must call each location to discern its billing practices. Undaunted and now even more frustrated, I call customer service again. Customer service rep B says: shots covered fully and each location noted previously is a par provider that will accept assignment. Done, right? Not yet. Customer service rep A calls me back. She has not, however, learned anything in the intervening 15 minutes, as she returns to her home base of ignorance with the accuracy of a GPS. Finally, I demand a supervisor. With the supervisor comes enlightenment and lower blood pressure. October 1st marks the first ever public exchange open enrollment season. This means some of the speculation around consumer awareness and understanding, enrollment/uptake, premiums, and payer participation (not to mention the technical readiness of the exchanges) will finally subside and give way to a clearer picture of the PPACA’s initial success in mandating individual health coverage. Despite this approaching level of clarity, however, several very significant “blind-spots” will continue to persist, principally for the health insurance carriers that choose to participate by offering PPACA compliant plans in the exchange. This is due to the law’s guaranteed issue mandate prohibiting health carriers from denying coverage based on preexisting conditions. As a result, the traditional enrollment process which consists of a comprehensive assessment of each applicant’s health status and risk cast against the backdrop of time-tested underwriting guidelines is completely thrown out. What takes its place is an extremely limited data set (i.e., the member’s age, tobacco/smoking status, geographic region, and family size) from which carriers can determine pre-approved premiums and variability therein. To use an analogy, health insurance companies no longer have a “bouncer at the door” turning people away, or a sign reading No shirt, No shoes, No service at the entrance. In other words, everyone, regardless of their risk profile, must now be welcomed in with open arms and with very limited risk-adjusted rates. This wouldn’t necessarily be a problem if the enrolling population comprised a well understood risk pool representing a true cross-section of the population. The reality, however, is that a predominantly unknown and potentially unhealthy population will flood the individual health insurance marketplace in a two weeks just as most states quickly phase out their high-risk pre-existing condition pools and shift them into the exchanges.